The Agony and the Ecstasy: Hunting for 17th-century medics with few sources! At the moment I’m once again on the hunt for elusive Welsh practitioners in the early modern period. The idea is to try and build up a map of practice, not only in Wales, but across the whole of the country. Once this is done we should have a clearer picture of where practitioners were, but also other key factors such as their networks, length of practice, range and so on. Working on Welsh sources can at times be utterly frustrating. For some areas and time period in Wales sources are sparse to the point of non-existence. Time and again sources that yield lots of new names in England draw a complete blank in Wales. 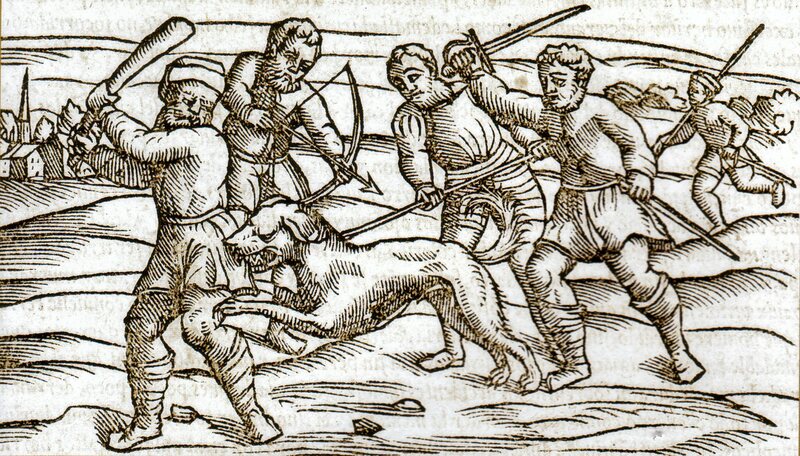 Ian Mortimer’s work on East Kent, for example, was based on a sample of around 15000 probate accounts. This enabled him to draw important new conclusions about people’s spending on medical practitioners in their final days. 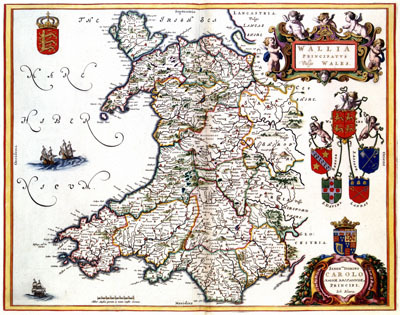 For Wales there are less than 20 probate accounts covering the early modern period! Wales had no medical institutions or universities, so there are no records of practitioners’ education or training. 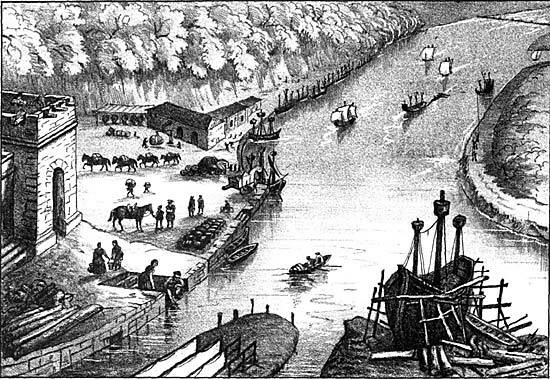 Welsh towns were generally smaller than those in England – the largest, Wrexham, had around 3000 inhabitants by 1700 –and this had a limiting effect on trade corporations and guilds. As far as I can tell there were no medical guilds in Wales between 1500-1750. It is also interesting to note that relatively few Welsh medics went to the trouble of obtaining a medical licence. 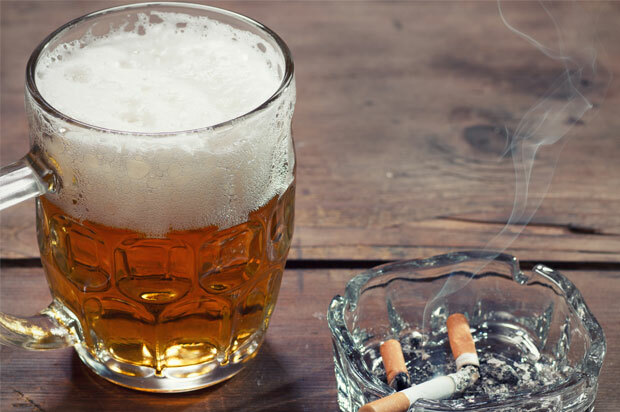 A long distance from the centres of licensing in London, it could be argued that a licence was simply not necessary. Coupled with this was the fact that there was virtually no policing of unlicensed practice in Wales…only a bare few prosecutions survive. The common perception has long been that there were simply few practitioners in early modern Wales. In this view, the vacuum left by orthodox practice was filled by cunning folk, magical healers and charmers, of which there is a long Welsh tradition. 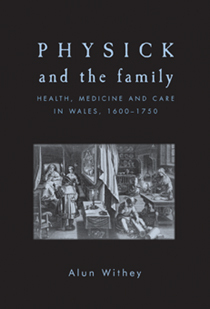 When I wrote Physick and the Family I suggested that there was a hidden half to Welsh medicine, and that if we shift the focus away from charmers etc then a much more nuanced picture emerges. When I began my search in earnest on this project, I was (and still am) confident that Welsh practitioners would soon emerge in numbers. At the moment, however, the number stands at around the 600 mark. This includes anyone identified as practising medicine in any capacity, and in any type of source, roughly between 1500 and 1750. So, 600 people engaged in medicine over a 250 year period, over the whole of Wales. Admittedly it doesn’t sound much! As a colleague gently suggested recently, this puts the ratio of practitioner to patient in Wales at any given time as roughly 1-50,000! Here, though, the question is how far the deficiencies of the sources are masking what could well have been a vibrant medical culture. How do you locate people whose work was, by its nature, ephemeral? If we start with parish registers, for example, their survival is extremely patchy. 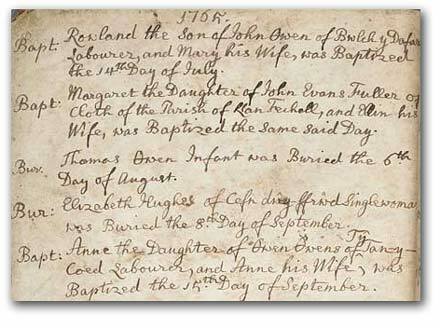 For some, indeed many, areas of Wales, there are simply no surviving parish records much before 1700. Add to that the problem of identifying occupations in parish registers and the situation is amplified. How many practitioners must there be hidden in parish registers as just names, with no record of what they did? It is also frustrating, and probably no coincidence, that the areas we most want to learn about are often those with the least records! Records of actual practice depend upon the recording of the medical encounter, or upon some record of the qualification (good or bad), training, education or social life of the practitioner. Diaries and letters can prove insightful, but so much depends on the quality and availability of these sources. There are many sources of this type in Wales but, compared to other areas of the country with broader gentry networks, they pale in comparison. All of this sounds rather negative, and it is one of the signal problems in being a historian of medicine in Wales of this period. In a strange way, however, it can also be a liberating experience. I have long found that an open mind works best, followed by a willingness to take any information – however small – and see where it can lead. Once you get past the desperation to build complete biographies of every practitioner you find, it is surprising what can actually be recovered. In some cases, all I have is a name. Oliver Humphrey, an apothecary of a small town in Radnorshire makes a useful case in point. He is referred to fleetingly in a property transaction of 1689. This is seemingly the only time he ever troubles the historical record. And yet this chance encounter actually does reveal something about his life and, potentially, his social status and networks. The deed identifies him as an apothecary of ‘Pontrobert’ – a small hamlet 7 miles from the market town of Llanfyllin, and 12 from Welshpool. 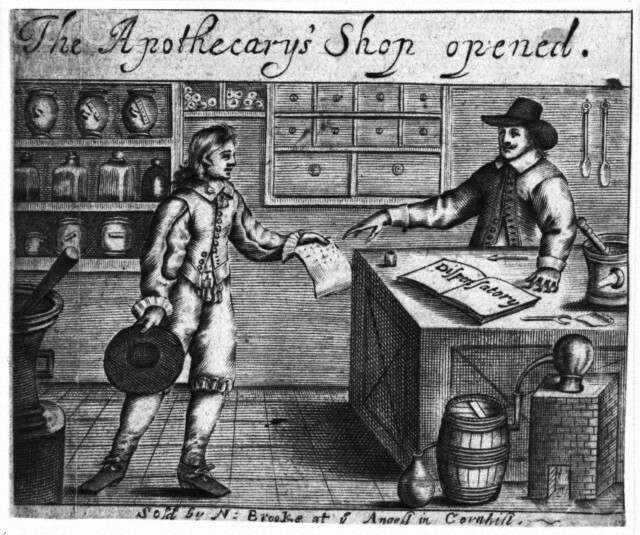 Immediately this is unusual – apothecaries were normally located in towns, and seldom in small, rural hamlets. The deed involved the transfer of lands from Oliver and two widows from the same hamlet, to a local gentleman, Robert ap Oliver. Was this Robert a relative of Oliver Humphrey? If so, was Oliver from a fairly well-to-do family, and therefore possibly of good status himself? Alternatively, was Robert ap Oliver part of Humphrey’s social network, in which case what does this suggest about the social circles in which apothecaries moved? Where there is a good run of parish registers, it can be possible to read against the grain and find out something of the changing fortunes of medics. Marriages, baptisms and deaths all point to both the length of time that individuals can be located in a particular place, and how they were identified. In some cases, for example, the nomenclature used to identify them might change; hence an apothecary might elsewhere or later be referred to as a barber-surgeon, a doctor or, often, in a non-medical capacity. This brings me back to the point made earlier about the problems in identifying exactly who medical practitioners were. An example I came across yesterday was a bond made by a Worcestershire practitioner, Humphrey Walden, “that in consideration of the sum of £3 he will by the help of God cure Sibill, wife of Mathew Madock of Evengob, and Elizabeth Havard, sister to the said John Havard, of the several diseases wherewith they are grieved, by the feast of the Nativity of St John the Baptist next ensuing, and that they shall continue whole and perfectly cured until the month of March next, failing which he shall repay the sum of £3”. Apart from the wonderful early money-back guarantee, this source actually contains a potentially very important piece of information. It confirms that a Worcester practitioner was treating patients in Wales – Evenjobb is in Radnorshire. Walden may have been an associate of John Havard and been selected for that reason. 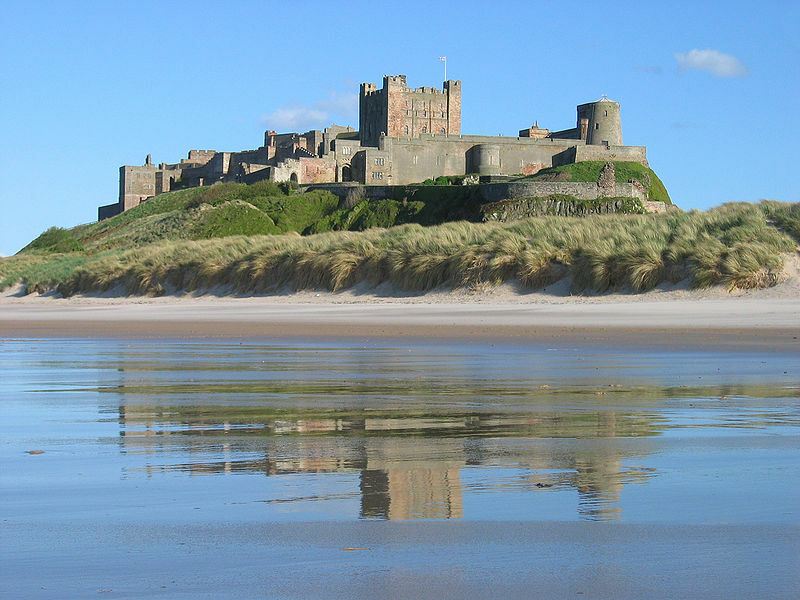 Alternatively, he may have had a reputation along the Welsh marches as a healer for certain conditions, and been sought out for that reason. It strongly suggests the mutability of borders though, and the willingness of both patients and practitioners to travel. In other cases practitioners pop up in things completely unrelated to their practice. 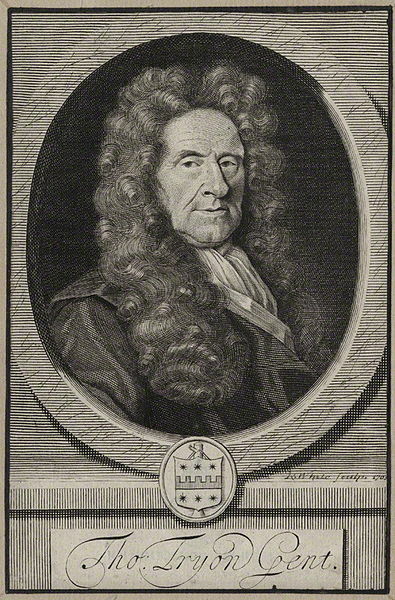 The only record I have of one Dr Watkin Jones of Laleston in Glamorgan occurs because he was effectively a spy for the earl of Leicester, being called upon to watch for the allegedly adulterous activities of Lady Leicester – Elizabeth Sidney. At the very least, however, it confirms his presence in the area, his rough age, and the fact that he was connected to a gentry family. And so the search continues. My list of potential source targets is growing and I’m confident that a great many more Welsh medics are still there to be found. If, as I suspect, the final number is still relatively small, I still don’t accept that as conclusive evidence of a lack of medical practice in Wales. As the old maxim goes absence of evidence is not evidence of absence. What it might call for is a revaluation of Welsh cultural factors affecting medical practice and, perhaps, a greater and more inclusive exploration of medical practice, in all its forms in Wales. Detoxing in History: the morning after the night before! Detoxing in history: the morning after the night before. It’s January. After the festive season is over it’s that time of year when we take stock, count the calories and do our best to offset some of the costs to our body of overindulgence. Up and down the country people will be joining gyms (as my fitness trainer says “entering like lions but leaving like lambs”), doing too much too soon and quitting before the soles of their Nikes even get scuffed. Others will be starting their healthy eating regimes, cutting out the chocolate, cakes and dairy and starting ‘holistic’ mind and body routines to try and ‘zen’ their way back to health, wealth and happiness. It’s human nature to overdo it, and it’s certainly nothing new. In the seventeenth century, overindulgence was frowned upon. Gluttony is, after all, one of the seven deadly sins and people were extolled from the pulpit to be mindful of the special place in Hell reserved for those who couldn’t control themselves! In medical terms too, overeating in general was viewed as risky, and medical practitioners cautioned those who would stuff themselves that they were in danger of all manner of ‘windy diseases’. Medical self-help books were becoming popular during this period and many contained lists of remedies for the afflicted, but were also not afraid to dish out morals with the medicine. Thomas Tryon’s, 1697 A way to health, long life and happiness, or, A discourse of temperance and the particular nature of all things requisite for the life of man was a typical tome. On the subject of overeating, Tryon had much to say. But for some, Christmas Day was just as likely to involve a fast than a feast. 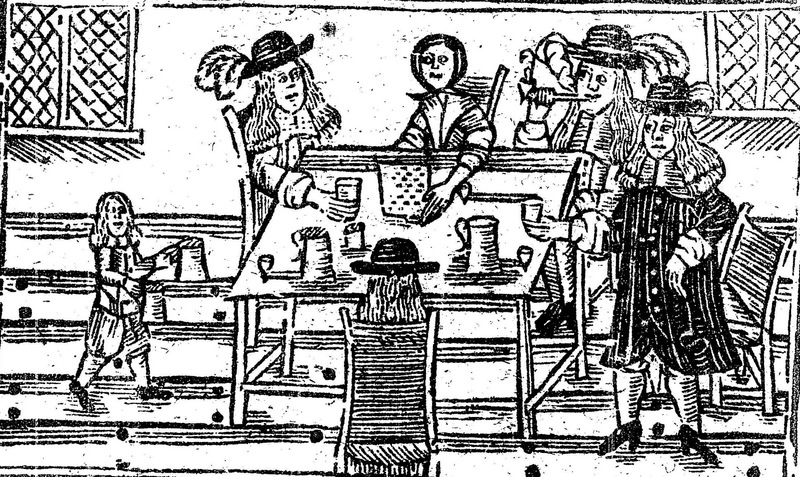 When Cromwell banned religious festivals in the mid seventeenth century, Christmas was pared down to its bare religious components, with no feast, games or merry-making. For Puritans, ever wary of artifice or show, elements such as a special lunch were easily dispensed of. For those whose feasting had left them feeling queasy, though, a number of options were available. 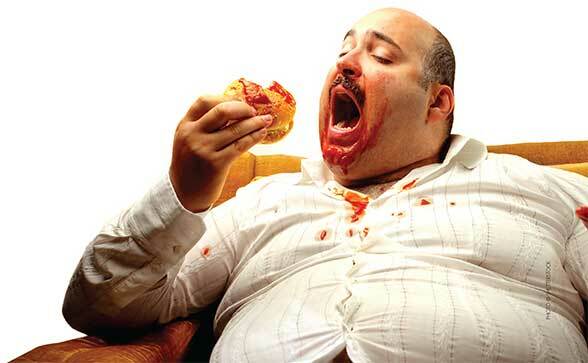 In the early modern period, overeating was referred to as ‘’surfeit”, and a range of options were available. Chief among these was the good, old-fashioned purge, either upwards or downwards. This could be self-administered; something like rhubarb would do the trick. (A word of warning here; the variety of rhubarb used in the seventeenth century is not the same as the happy pink variety used in your crumble. Put seventeenth-century rhubarb in your crumble after a meal and you wouldn’t be downstairs to enjoy the coffee and mints!). If you didn’t fancy the job yourself, then a range of purgatives and emetics (medicines to make you sick) could also be purchased from the local practitioner or apothecary. A number of ready-made concoctions, known as surfeit waters, were also available, which aimed to calm the stomach down and release the pent up windy humours. Nicholas Culpeper recommended Liverwort as a sovereign herb for surfeits, and especially those whose livers had been corrupted by their excesses! It is also worth noting that the concept of a health regime is also nothing new; our early-modern ancestors got there well before us with what they knew as health ‘regimens’. These often included lists of foods to eat, things to avoid, days to avoid doing things on, and even medical proverbs. One medieval Welsh proverb advised people who wanted to stay healthy never to disturb a Wren’s nest! A book attributed to a practitioner, Sansom Jones of Bettws, Monmouthshire, contained a long list of rules. Some of these seem remarkably modern. “First use labour and exercise” he advised, to keep the body moving, such as throwing a wooden ball against a wall, and also exercising in fresh air an hour before eating meat. Food was to be well-cooked and alcohol (in fact any drink) was to be used in moderation. “Keepe thy heade and neck warme and thy feet drie” and this would help the body to “consume the watery humours”. Perhaps most important, according to Jones, was to “hold thy breath hard now and then, which forceth the blood to the outward parts of the bodye”. So, fresh air, exercise, temperance and diet…all things that your life coach will happily sell you today! Christmas may be over but now is the time to join the centuries-old tradition of undoing the effect of excesses on your body. 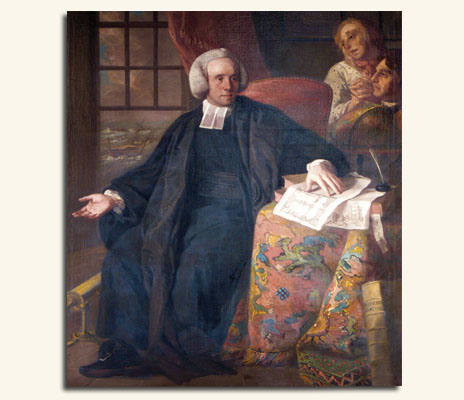 Do Thomas Tryon and Sansom Jones proud and watch the diet, get outside and get those new trainers dirty! Happy New Year! I’ve recently returned from a research visit to Ruthin archives to look at the Denbighshire parish registers. The purpose of the visit was to trawl through every one of the hundreds of parish register transcriptions, looking for medical practitioners. With two bookcases full of volumes, each containing many individual registers, this was always going to be a long task. The registers for the town of Wrexham alone took two days, and monotony soon sets in when faced with page after page after page of names and bare information. Parish registers are commonly the domain of genealogists and family historians, perhaps researching their own family history. Through the popularity of television shows like Who Do You Think You Are researching your own family tree has never been so popular, aided by the growing availability of source material online. Historians too are making use of parish registers. In aggregate they can reveal a whole range of demographic information, allowing assessment of long and short term population changes, marriage, birth and death patterns and so on. But parish registers are generally deficient in detail, and even more so the further back in time you go. In the register of marriages in the seventeenth century you may get no more than the names and locations of both parties. The same for births. The burials registers give you name and parish, and sometimes the name of the father if the deceased was a child. In some cases occupations are given, but unevenly and sometimes selectively. So much depends on the diligence of the parish notary. As such, individual registers are generally unsatisfactory as qualitative evidence for the lives of individual people. If, however, as I was able to do, you search through a large number of records, then it is often surprising what extra information is able to be gleaned. In fact, the marginal comments made by the register creators often contain nuggets of extra information that can reveal much not only about their own prejudices, but of wider attitudes in society. Parish registers were legal documents. As such they were deliberately formulaic and only required the bare minimum of information. With no legal reason or administrative need to add in anything else, many notaries didn’t bother. But it is the very fact that extra comments were not necessary that renders them more interesting. One thing that becomes clear is the disapproval levied against anyone who was perceived to have transgressed in some way. Some women in the Denbighshire burials registers, for example, were obviously held in low regard by the local clergyman. Several entries appear with the appellation ‘harlot’ written in the margin, ‘whore’ and even one recorded as being a ‘wich’. Here was an indictment of loose morals writ large and preserved forever in legal documents. Whoever wrote these remarks was making a definite statement and was fully aware of the stain that they were forever putting against these parishioners names. Being ahistorical for a moment, it is sad to reflect that perhaps these women’s only appearance in the record is coloured in this way. Perhaps the worst (or best) example I have come across is poor Barbara Roberts, buried in Denbigh in 1832 and, according to the vicar, “The dirtiest woman in the neighbourhood”! There is an obverse to such pejorative comments though, and this is the sometimes laudatory comments that could be made. Those who left money to the parish poor or were well known for their good deeds might forever be bestowed with comments such as ‘a well liked body’ or ‘a person of good repute’. Here again we can encounter glimpses of personal affiliations. It is no coincidence that gentry and other clergy were often well reported in parish registers! 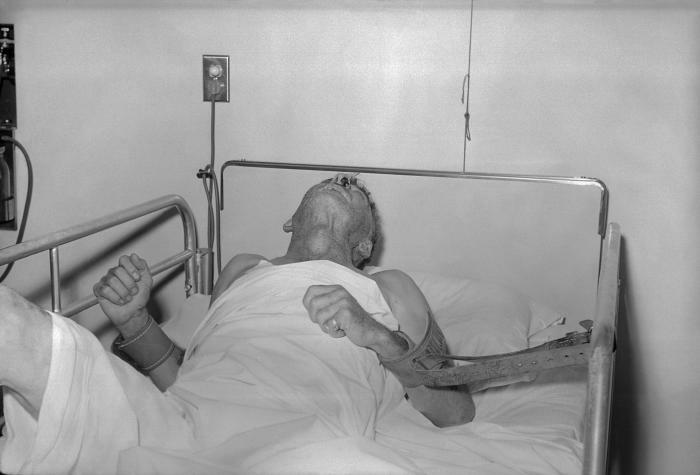 Accidents and other notable or lamentable deaths were often remarked upon and these are often touching in their brevity. ‘An infant died on the road in the arms of its mother’ is a typical example which says so much but also so little. Registers are full of drownings, deaths in fires and other accidents that reflect the dangers of hard rural lives, belying any depictions of a romantic rural idyll. 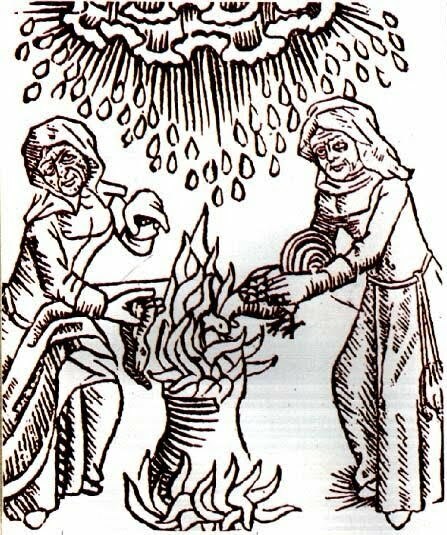 People who were extremely old (‘110 by common repute’) were likely to be remarked upon, as were women like Jane Reece of Holt in Denbighshire who died aged 58 in 1696 “pregnant for the 100th time”. Even occupations were not free of the individual foibles of recorders. In some parishes certain occupations might be recorded where others were ignored. This might mean that weavers or glaziers might be recorded while apothecaries or barbers could go unremarked. This is only one of the frustrating problems facing anyone looking for occupational data. ON the other hand they can throw up surprising little quirks. In Denbighshire alone I found evidence of three ‘Aquavitae’ men, in different parishes, all of whom were known only by their first names and who had died on the road. These were travelling salesmen selling what was a semi-medicinal strong brew. Of no fixed abode they probably succumbed to the harsh life of travelling. Given what they were peddling this seems a fitting case of ‘Physician heal thyself’. Registers can be frustrating documents but they are often well worth spending time with. 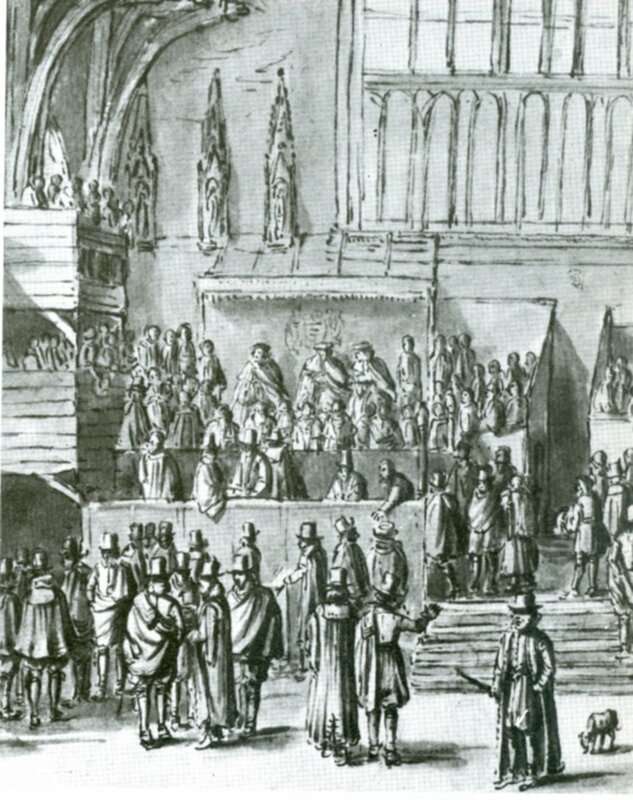 By reading against the grain it is possible to learn much about early modern life, as well as the characters of individual clergy as they wrote their sometimes barbed observations. I think that more qualitative work on early-modern registers is badly needed.